So says Venson Automotive Solutions after a survey by the leasing and fleet management firm found that 70% of motorists have started wearing glasses or contact lenses since passing their driving test but have not informed the DVLA. The firm said there is widespread uncertainty over whether the DVLA needs to be informed when someone has to start wearing glasses or contacts for driving. If the DVLA is informed, an 01 code is added to the list on the reverse of the licence. 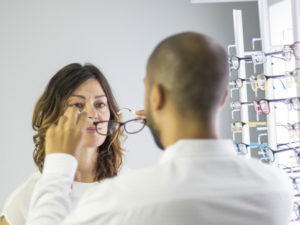 Although Venson said the Government’s own website on driving eyesight rules has conflicting advice on the rules – and also said high street opticians are also adding to the confusion – it added that the legal requirements are in fact quite simple in most cases. However, Venson recommends employers take further action if their employees are required to drive as part of their job role.